The Paro District Court sentenced six men to five years in prison and another man to two-and-a-half-years for gold smuggling yesterday. The men were found guilty of smuggling gold from Tibet to India. They were convicted in two separate cases. 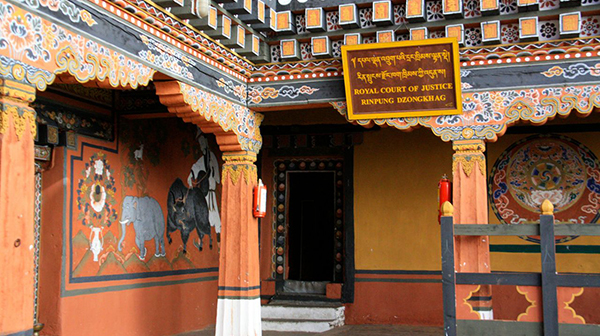 Four of the men were arrested from Tsento in Paro in July last year. They had with them six kilograms of gold at the time of the arrest. The office of Attorney General (OAG) had charged the men of illegal import of gold from Tibet via the illegal trade route and without prior approval from the Royal Monetary Authority (RMA). A person is allowed to bring in only 50 grams of gold. According to the Foreign Exchange Regulation, any import and export of gold or silver coins, bars or bullion shall be carried out only with the prior approval from RMA. The court sentenced all four men to a non-compoundable prison term of five years. The other three men, convicted in a different gold smuggling case, were arrested in September last year. They had 15 kilograms of gold in their possession. Two of the three men were sentenced to five years in prison and the other to two-and-a-half-years. According to the Penal Code of Bhutan 2011, a defendant shall be guilty of the offence of smuggling if the defendant secretly and illegally imports or exports restricted and prohibited goods or substance including animal parts.